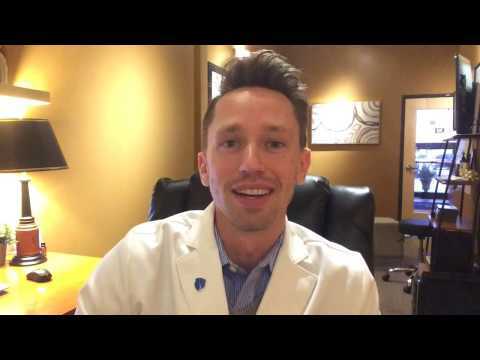 Hey there, Dr. Ryan Hetland here. Welcome. I wanted to talk to you about a super important topic to 2 to 4% of the world, that’s 10 million people that have been diagnosed with Fibromyalgia. Fibromyalgia is an unbelievably difficult condition to not only treat but even just try to self-manage with self-care. We’re going to dig right into it here today. The symptoms are vague. There are a lot of people that probably have fibromyalgia that has been undiagnosed and we’ll kind of get into that, but the symptoms are whole body aches and pains, fatigue–it used even to be called chronic fatigue syndrome–and sleep that’s non-restored if you’re supposedly sleeping for eight hours and you wake up, and you feel like you could sleep another eight hours. It just doesn’t restore you. Depression and anxiety are huge with fibromyalgia. And how do you know if you have it? It comes down to one word that gets encompassing for fibromyalgia–it’s chronic–meaning it’s persistent, it’s on-going. It can wax and wane, it can come and go, but it’s persistent, on-going and chronic for months and months, years and years and there is no cure for fibromyalgia. So, it’s a tough condition. No one wishes this condition on anybody, and the diagnosis really comes from eliminating possible other causes from people who have these forms and symptoms and, really, the difficult part is that traditionally how fibromyalgia might be advised for you to take care of it by maybe your medical doctor or general practitioner is really through medications and symptomatic relief, or if you have depression, here’s an anti-depressant drug. If you’re having anxiety, here’s an anti-anxiety drug. If you have pain, here’s a muscle relaxant or painkiller. If you can’t sleep, here’s drug for that. You can quickly get into treating the symptoms medically and all of a sudden, you’re on two, three, four, ten different medications and the tricky part about that is they don’t study the effects of a lot of these drugs together. Now I’m not the drug expert by any means. I leave that up to the medical community to do that, but that, often, where fibromyalgia people are at when they come in to see me. And the best way to manage fibromyalgia, since there’s no cure and doing drugs for all these symptoms isn’t the best solution, is a team of people to help you out. It’s really difficult to manage this thing on your own. Having a medical doctor for medications and medical advice because a lot of people might have rheumatoid arthritis and might have a rheumatoid arthritis doctor, having a physical therapist, a chiropractor to help, even an acupuncturist or a nutritionist. You want to have a team of people to help you kind of figure things out and give you things to do at home or on your own to assist you. So the best strategy is to have a team and what a chiropractor, doctor chiropractic can offer to someone with fibromyalgia is huge. I was a member of the Fibromyalgia Centers of America for years and treated tons of patients and still have tons of patients with fibromyalgia, rheumatoid arthritis and all of these conditions we’re talking about, and chiropractic is a whole body, whole person form of care for you. It obviously goes along with the spine, so people think of neck and back pain for it primarily, but fibromyalgia, frequently, you have neck and back and the whole body aches and pains, so it addresses that. It also addresses the nerve system that’s coming out of the spine which is probably even more important for fibromyalgia sufferers because it’s a fibro-muscle, neuro-muscular condition, so chiropractic can help assess that and help you figure out if there’s anything in your spine and nervous system that isn’t working right or functioning right. We can help that restore some of that. Again, there’s no true cure for this, but we can do a lot of good. Obviously, diet and nutrition, not just chiropractic, have a substantial vast resource a lot of times you see doctors of chiropractic doing tons of things with diets or supplements or nutrition, so we know a lot about that, some more than others. Fibromyalgia, a key nugget here for me, what I’ve discovered is there’s a lot of mineral deficiencies, so that’s something that I work on with patients are getting minerals up and more sufficient in their body. Stress management is huge. Obviously, it’s stressful not to feel good, not get good sleep and be in pain, so trying to figure out we also manage that with a team approach and even exercise are huge for fibromyalgia sufferers, but you know everyone’s different, everyone’s condition is different. Everyone has a different set of problems, and some can do this exercise while some can’t, so you need a team to help you. I’m here for you. I feel for you. If you’re suffering from fibromyalgia, I’ll have a link below to a blog post that is great. It’s one of the most shared blog posts for fibromyalgia. I’ll try my best to help you out, and we’ll see you soon. 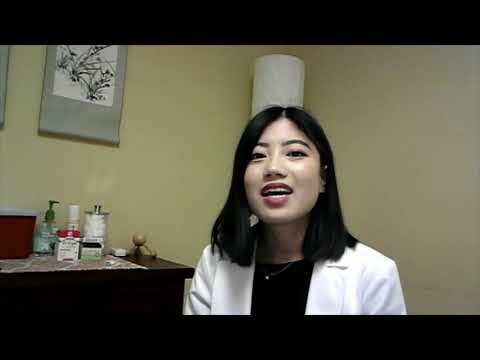 Hi, I am Vanessa Ho, a licensed Acupuncturist here at Healing with Zen in Pasadena, California. Today we’re going to do a quick 101 on Facial Rejuvenation and the basics of Facial Acupuncture. The number one asked question from patients that I get is “What is it?”- what it is, is the insertion of ultra hair-thin needles in specific points on your face to increase collagen production, as well as improve blood flow in order to reduce the appearance of fine lines, wrinkles, hyper-pigmentation or sunspots as well as help give a lift to any sagging skin. Another frequently asked question is, “How does it differ from the other treatments that they have had before” (such as botox, laser treatments, etc.). A significant difference, in my opinion, is that there is no major downtime regarding getting a more youthful looking, healthier complexion with Facial Acupuncture. With things such as Botox or laser treatments, usually, the effects last anywhere between 3-6 months and starting seeing the results within 5-7 days. But, along with this treatment, there are side-effects such as allergic reactions or bruising and swelling from the treatments. With Facial Acupuncture, you don’t experience as much of those bad side effects that you would get with other modalities. There is no downtime after the first treatment, you have a healthier, more glowing complexion and you start seeing a reduction of fine lines, sagging skin, or any hyper-pigmentation spots as the treatments progress. It is a lot more of a more natural and gentle alternative to treatments such as Botox or laser treatments. Another question that I get asked quite a lot is, “How long do the results last?”, After about 8-10 Facial Rejuvenation treatments usually, the results last 3-5 years, so it is very much long term. Also, this does depend on overall lifestyle as well as diet choices, but the results do last much longer than treatments such as botox.